Timothy E. Huffman is a Member in the Insurance, Government and Manufacturing industry groups. He practices out of the Firm’s office in Charleston, West Virginia. Timothy’s practice is focused on representing employers and insurance carriers in the area of work-related disability caused by occupational injury and disease. He also represents clients in matters before the West Virginia Office of the Insurance Commission and the Industrial Council. 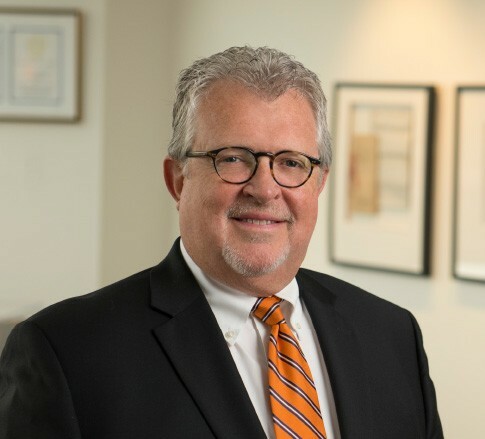 A devoted lobbyist for workers’ compensation, insurance and civil justice reform issues, Timothy serves as a member of the Firm’s internal practice group devoted to issues of public policy and regulatory affairs. Known as a reliable and trusted source within his practice areas, Timothy often is called upon to assist clients and employer organizations in legislative bill drafting and review, as well as the revision and drafting of administrative rules. Timothy is an advocate for his profession and uses his expertise to teach others through his role as a lecturer on workers’ compensation law. His professionalism and dedication to his legal work have driven his peers to nominate him for numerous awards and honors, recognizing him as both a dedicated client advocate and a tough adversary.